I found it strange that Davy Fitzgerald would suggest putting his house on Kilkenny to beat his Wexford side at Nowlan Park this evening. There's an element of mind games about this for sure but you could argue that there's some merit in what he's said also, bearing in mind that Wexford are due to go into battle for a fourth successive weekend. There are other counties who have been faced with this congested run; my own Waterford, Tipperary and Offaly being the other three. And we've seen the effect that such a hectic schedule is having on performances. This was one worry that I had for Wexford before a ball was even pucked in anger this summer - I didn't think they had a panel big enough to tackle those four weekends on the trot, or four games in 21 days, which is another way of looking at it. In week three, we saw elements of flatness and fatigue creeping into Wexford's play against Galway and this is a Wexford team that needs to be playing on the front foot and operating at high-octane levels. In many of their league fixtures, they were way ahead of teams they were playing but Kilkenny, who had a fortnight off, caught them in the league semi-final. Wexford, in contrast, had come through a tough quarter-final with Galway a week previously. When Wexford beat Kilkenny in league and championship last year, it was that high-energy game and relentless work ethic that got them over the line. What also stood to them was how Kilkenny struggled to break down their sweeper system. But fast-forward 12 months and, following a winter of evolution, Kilkenny have broken away from traditional values and varied their game by going long and short. This was evident at Wexford Park when they beat the hosts in the recent league semi-final. They had everything in place to counteract Davy's system. This time, the game was played on Kilkenny and Brian Cody's terms, and not the other way around. Placing Walter Walsh and Martin 'Mossy' Keoghan on the wings meant that Kilkenny were almost playing with two extra-wing-backs, but also getting forward. By sucking bodies into their half, Kilkenny had plenty of green grass to work in at the other end of the pitch. Surely Davy will have looked at that game, and the match against Galway, and realised that the tactics of using attacking defenders and operating with a sweeper have been counteracted, and that opponents have Wexford sussed. Does Davy have a plan B, where he can go with three inside and try to get the best out of Lee Chin and Conor McDonald? For Wexford to get maximum impact from McDonald, he needs to stay at number 14 and have a man either side of him. When he drifts out to the half-forward line, he doesn't seem to have the legs to get around. But that's not his game - he needs to be closer to goal and he's not excelling at present. Last year, Lee Chin was magnificent in two games against Kilkenny but he's been rather disappointing this summer. This game against the Cats, however, could be the one to ignite his season. 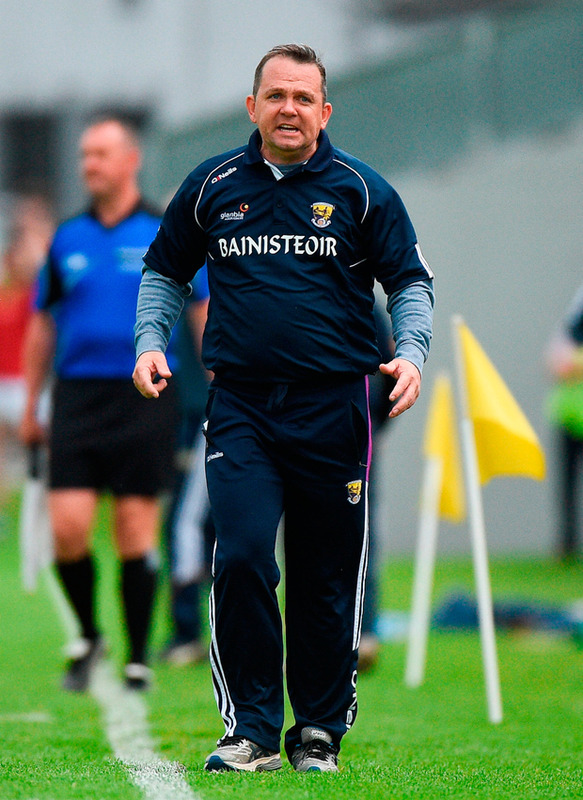 One thing you don't associate with Davy Fitzgerald teams is predictability but Wexford have become predictable. I've no doubt, however, that he'll have noticed this and will have something up his sleeve. He needs to get his match-ups right, too. We'll probably see Matthew O'Hanlon on Walter Walsh but who picks up TJ Reid is the big one. If you can nullify Reid from play, you'll go a long way towards nullifying Kilkenny in an overall sense. That's easier said than done, of course, but in 2017, Wexford had James Breen and he was magnificent on both occasions. If Reid needed to go the toilet, it would have been no surprise to see Breen rock up alongside him in the cubicle; he was that tight. The only other player who can possibly do a job on Reid is Liam Ryan but if Wexford get it right, they're in with a big chance of reaching another Leinster final. Don't be fooled either by Fitzgerald's comments. I've played under him and I've never once seen him throw in the towel and take a result as a given. Both teams are chasing redemption after being schooled by Galway already in Leinster this summer. And, for me, it's Kilkenny who'll get that chance.